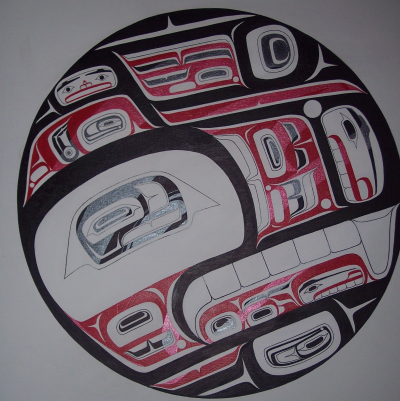 One reason why Northwest Coast art thrives is the strong tradition of teaching among the artists. Artists regularly take on apprentices, and many regularly assist younger artists in their struggles to establish themselves. 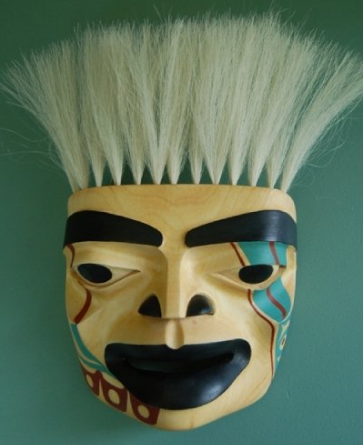 One of the newer artists who has benefited from the tradition of teaching and plans to teach others himself one day is John Paul Wilson, a member of the Blackfish clan of the Haisla nation for whom carving masks is both personally satisfying and a means of rediscovering his culture. 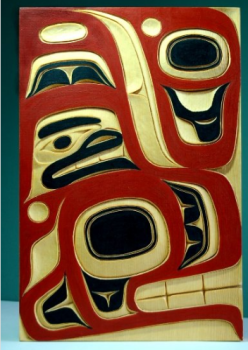 After what he describes as a hard-living youth, Wilson worked in a variety of jobs, including carpentry, forestry, and sales. 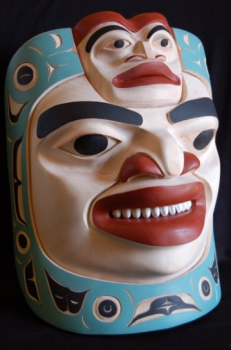 “Now that I look back on my life,” he says, “I see that what I was doing was training myself to be an artist, whether I knew it or not.” All his work, he believes, helped him to prepare for both the techniques and business of being a carver. 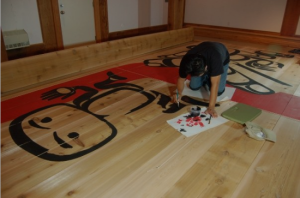 Although Wilson says that “I have always been doing art,” he only began focusing on carving in 2002, when he began studying under Tsimshian artist Heber Reece. After he “took some time away” from Reece, Wilson continued to return to him for help, and later took a course Reece taught at the local college in 2004. “He always had his doors open for me,” Wilson says of Reece. 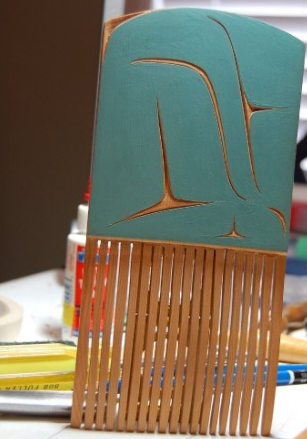 More recently, Wilson has been receiving informal advice from Nisga’a carver Ron Telek, especially on the finer points of finishing, and attending the Freda Diesing School of Northwest Coast Art at Northwest Community College, where he is being taught by Stan Bevan, Dempsey Bob and Ken McNeill. In fact, this is the second time he has enrolled in the Freda Diesing School, after a burglary of his home forced him to withdraw the first time for lack of funds. 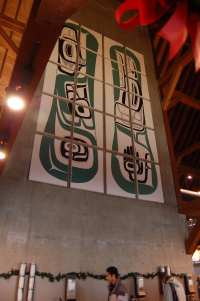 Other artists whose work Wilson admires include Robert Davidson, Norman Tait, Klatle-Bhi, and Henry Green. 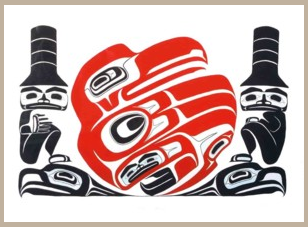 (John Wilson’s work is available in the Black Tusk and Path Gallery in Whistler, The Edzerza Gallery in Vancouver, The Art of Man in Victoria, The Stonington and Steinbrueck galleries in Seattle, the Arctic Raven Gallery in the San Juan Islands, and Neo Concept in White Rock).